What is really cool with the way I do my interviews with artists is that I try to make it as comfortable for them as possible. While I ask the important questions about them, their band and music, I also try to throw in a couple of fun questions to make the interview more relaxed and fun. A lot of the bands and artists I have talked to actually like the way I conduct the interviews because I make it look like two friends just talking about music and why we love it. That is actually how Kiliyan Maguire of Charming Liars felt when I had a chat with him at the Glass House in Pomona, Calif. The group is right now touring with L.A. native group Dorothy and is getting ready to put out their album. 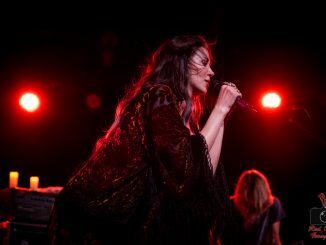 Having seen Charming Liars with Sick Puppies last year, I was excited to chat with Maguire. According to Maguire, the band got their name at a bar. The 2 other members, guitarist Karnig Manoukian and bassist Mike Kruger, are English and the bar maiden thought they were faking the accents to get out of paying, calling them “charming liars.” He says it is a little cheesy, but I think it is funny. 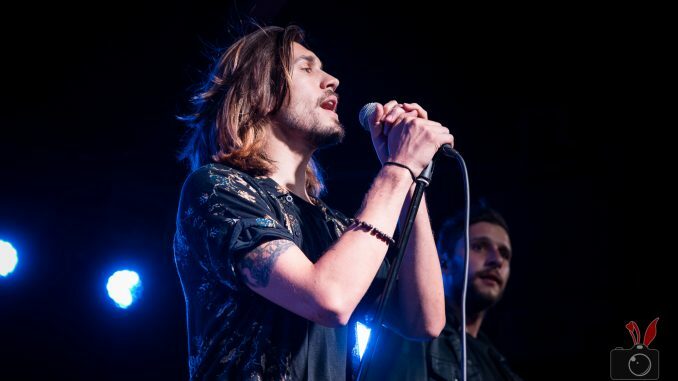 Maguire is the only American in the group, bumping into the other members at a party where they struck up a conversation and decided to form Charming Liars. We would talk about opening for Sick Puppies at the Whisky last year and how that show was for them. 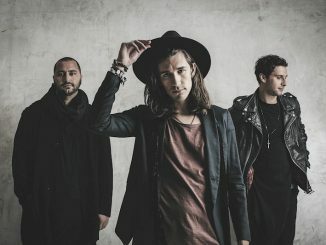 Charming Liars just released their new single, “Like a Drug,” and the music video to along with it. Maguire talks about the making of the video and why they chose to make it the way they did. The song is part of the album they are about to drop, which has no title yet. To make it more interesting, I asked Maguire what title he likes because he has a few in mind, but the whole band wants to name it together. He gave me the title, Thought, Flesh & Bones. He could be messing with me or is he serious. Either way, I dig it. After doing so much recording, the band decided to hit the road again and jumped at the chance of touring with Dorothy. He and I bonded over our vinyl collection, and he threw out some classic names like the Rolling Stones and the Doors, his favorite band of all time. We even agreed with the fact that Metallica’s two records from the late 1990s, Load and ReLoad, were underrated and actually sounded amazing. It is refreshing to have an artist defend them. When he has down time, he either likes to read, play Call of Duty, or whatever he is in the mood for. 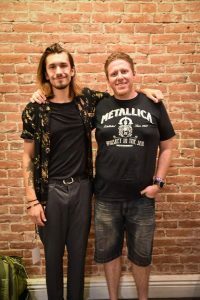 We would also chat about their next upcoming tour after Dorothy and hopefully hitting the European circuit. Chatting with Maguire was very laid back and chill. I thought it was really nice of him to give me his choice for a name for the new album they are getting ready for. Like I said, the title that I mentioned could be a fake, so do not take my word for it. Charming Liars then went on stage 15 minutes later and killed their set. They sound amazing live, and I cannot wait to hear their new album. To Kiliyan Maguire, I salute you. Horns up!! !